In January, we released our whole new amazing mind mapping tool XMind: ZEN. 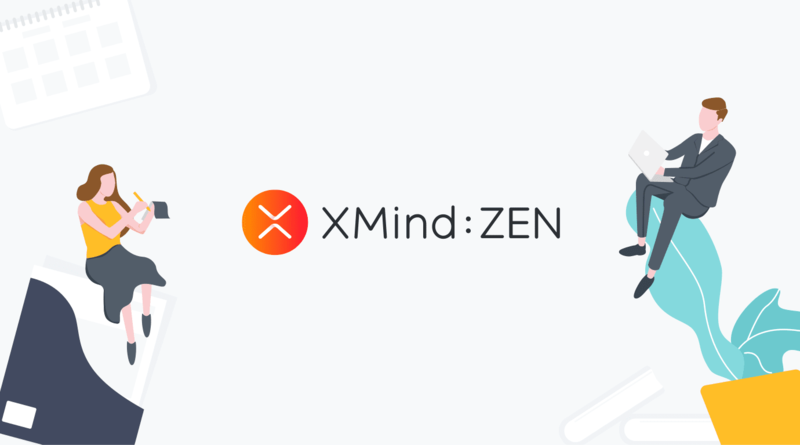 Now, half a year has passed and we believe that you’re already familiar with XMind: ZEN and skillfully use it in your daily life and work. 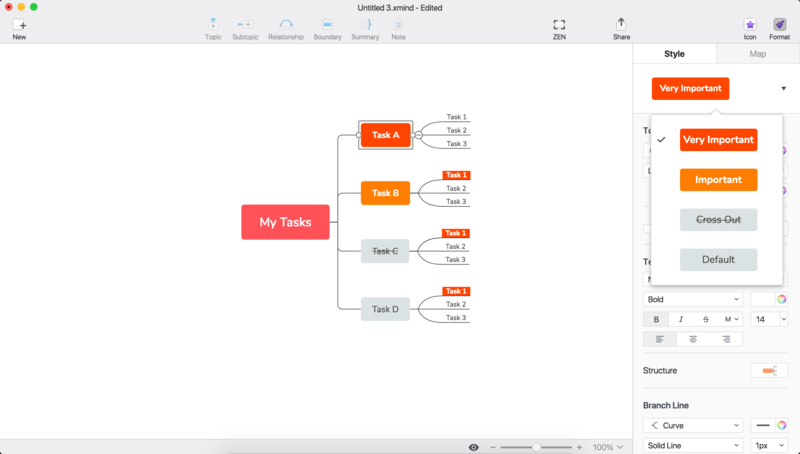 But since XMind: ZEN is a powerful mind mapping tool, there might be some amazing features you have not found yet. 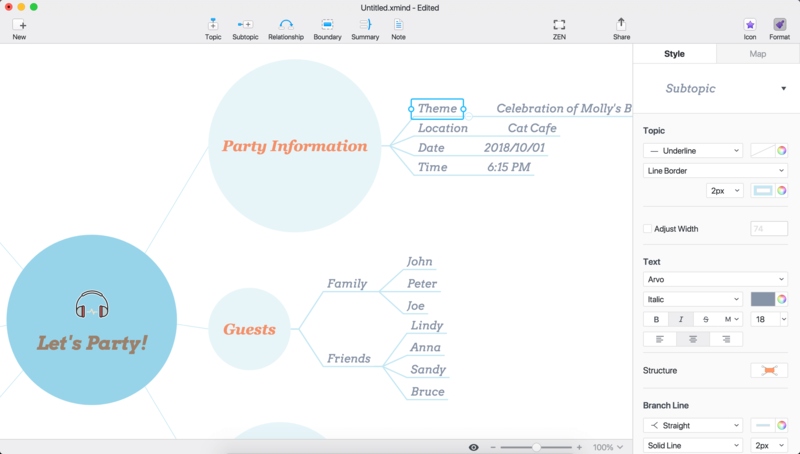 Today, we’d like to introduce a useful feature you may not be familiar with – Quick Style. Selecting the main topic/subtopic, you can quickly mark it in the Format panel. The same marked topics will have the exact same styles. Sometimes we may want to unify the style of the same marked topics, whether they are main topics or subtopics. But it will be time-wasting if we have to change the style of every topic, especially when you have a large mind map. 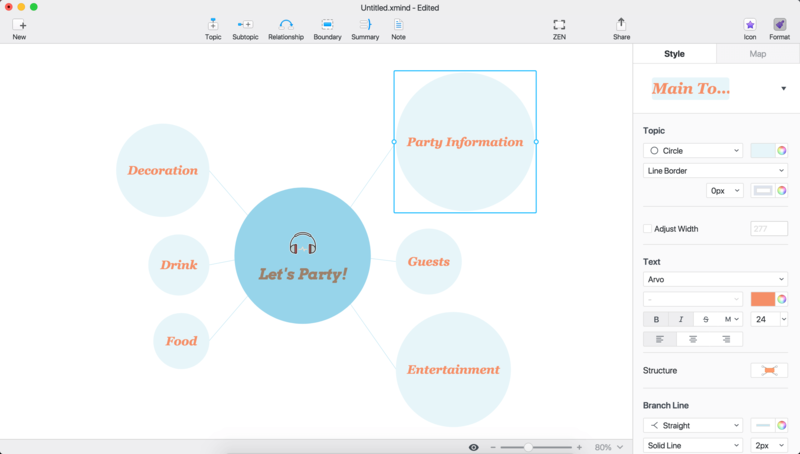 With XMind: ZEN, you can quickly and easily unify the style of the same marked topics with just one click. After we change the style of Task A (in the map topic shape, color, font and branch line), we will see an Update link in the upper-right corner of the Format panel. 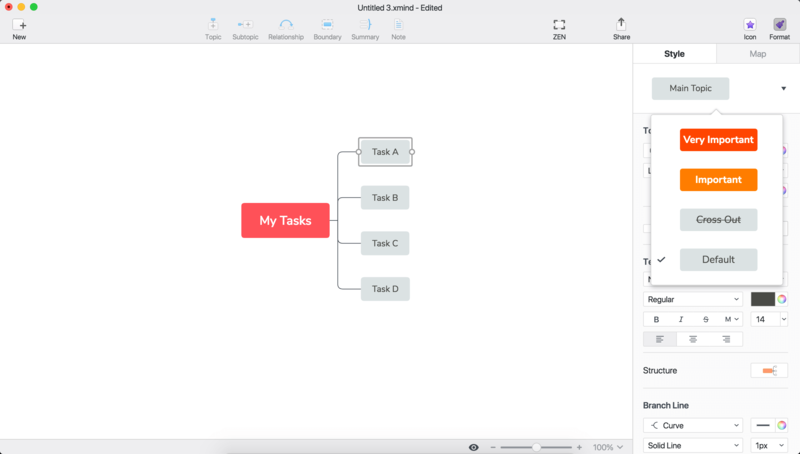 Clicking Update the same style of Task A will be applied to all topics marked as very important as Task A (in the map Task 1 topics). 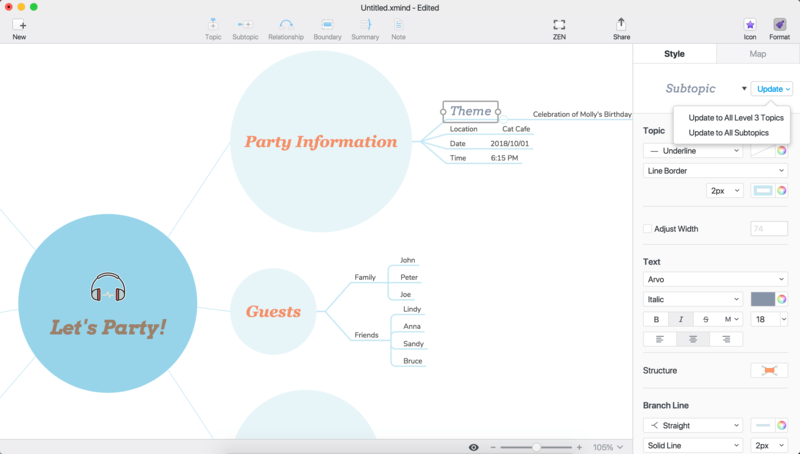 To make a beautiful mind map, it’s important to have a unified style for topics at the same level. But it’s time-consuming to repeatedly set the style for each topic. Luckily, XMind: ZEN provide a perfect solution. After we set the style of main topic Party Information, we will see an Update link in the upper-right corner of the Format panel. 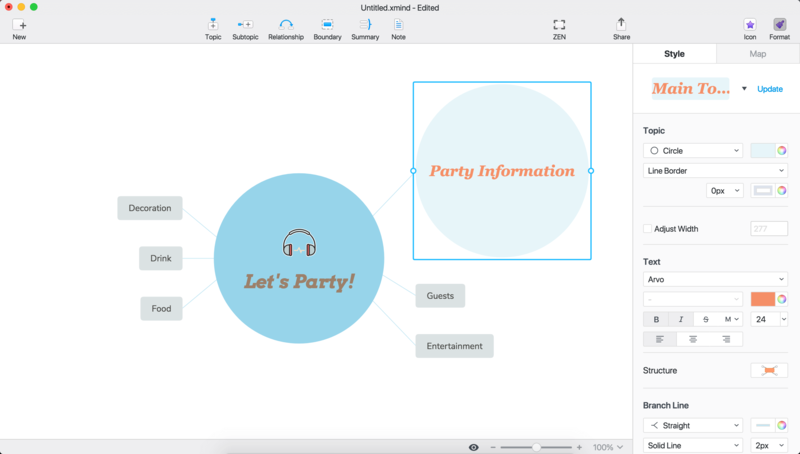 Clicking Update the same style of Party Information will be applied to all main topics. After we set the style of subtopic Theme, we will see an Update link in the upper-right corner of the Format panel. Choosing Update to All Level 3 Topics the same style of Theme are applied to all level 3 topics. 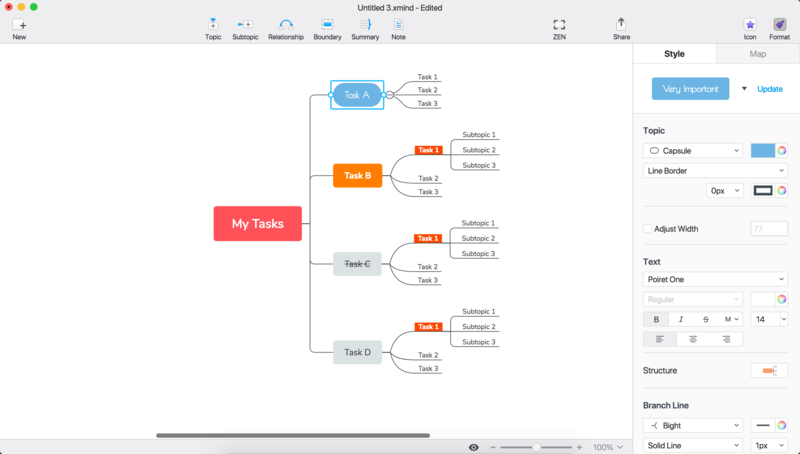 Choosing Update to All Subtopics the same style of Theme are applied to all subtopics in the mind map. What do you think about this feature? Share your experience and insights in the comments box below. Custom Theme pls! :)) Miss it so much! I always use these features because Zen is lacking CUSTOM THEMES. Please add them!! Shortcuts does not work! ;/ F2,F3,F4?